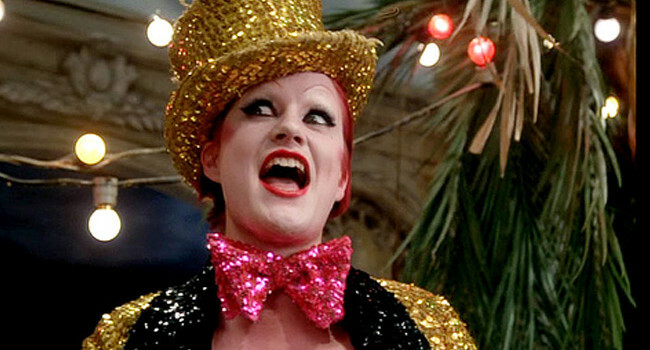 A groupie like no other, Columbia dresses as though she should be leading a circus instead of drooling over Dr. Frank-N-Furter in Rocky Horror Picture Show. If you’re interested in copying her style then colorful sequins are the way to go. When you think you have enough, add more. Then throw on some red lipstick and do your best Time Warp dance. In Rocky Horror Picture Show, when Dr. Frank-N-Furter (Tim Curry) isn’t wearing hospital scrubs he’s strutting his stuff in fishnets and platform heels. While we can’t promise that imitating his look will transform you into a “Sweet Transvestite from Transexual Transylvanian” we can assure you that nearly everyone will know where you got your inspiration. 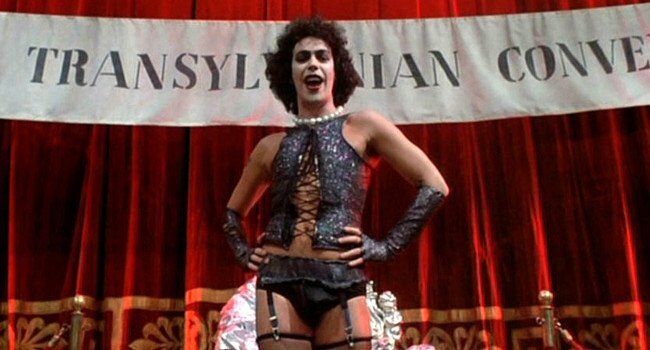 Dr. Frank-N-Furter has a style that is unmistakable.